إذا كنت تبحث عن عقار بموقع جيد في المدينة، فقد وجدت ضالتك في فندق راديسون أون فلاجستاف جاردنز. يمكن من هنا للضيوف الاستمتاع بسهولة الوصول إلى كل ما تقدمه هذه المدينة النابضة بالحياة. يضفي محيط الفندق اللطيف وقربه من أكثر المعالم السياحية جذبًا سحرًا خاصًا على هذا الفندق. إن حسن الضيافة والخدمات الراقية التي تعرف بها Carlson Rezidor Hotel Group تغني تجربتك في فندق راديسون أون فلاجستاف جاردنز. لضمان راحة ضيوفه، يقدم الفندق الخدمات التالية: خدمة الغرف على مدار الساعة, واي فاي مجاني في جميع الغرف, أمن على مدار 24 ساعة, خدمة التنظيف يوميًا, خدمة سيارات الأجرة . في فندق راديسون أون فلاجستاف جاردنز غرف نوم يزيد عددها عن 184 صممت بذوق وعناية لتوفر لك كل وسائل الراحة . بعضها يحتوي أيضاً على تلفزيون بشاشة مسطحة, سجاد, مناشف, غرفة معيشة منفصلة, حوض الاسترخاء. يقدم الفندق خدمات رائعة كمثل حوض استحمام ساخن, مركز للياقة البدنية, ساونا, سبا, تدليك لمساعدتك على الاسترخاء بعد نهار طويل من النشاط والتجوال في المدينة. اكتشف مزيجاً ساحراً من الخدمة الاحترافية والخيارات الواسعة من وسائل الراحة والمتعة في فندق راديسون أون فلاجستاف جاردنز. يُرجى ملاحظة أن إقامة الأطفال حتى 12 سنة تكون بلا تكلفة إضافية عند تقاسم الأسرة الموجودة بالغرفة. يتاح انتظار السيارات خارج الموقع بسعر 35 دولار أسترالي في الليلة. يجب الحجز مسبقًا. يتم تطبيق تكلفة إضافية من 1.5% إلى 2.5% عند استخدام بطاقة الائتمان. يُرجى الاتصال بالعقار لمزيد من التفاصيل. When booked was supposed to get a microwave in the room and a room on a high floor and we got neither. I wanted to report an issue at 4pm on second day so I called reception only to get a machine. I left a message and I never received an answer from the hotel. Liked the location opposite Flagstaff Hill Park which meant we got a lot of natural light in our corner room Also adjacent to Queen Victoria Markets Bed was very comfy Heater/aircon was efficient Check in/out very efficient Well supplied with toiletries Good lighting Reasonably sound-proof room Appreciated earlier check in Didn't eat here so can't comment re food Bathroom quite small and kept knocking elbow on oddly placed metal toilet roll holder (Rm 420) Not 5 Star but good value for money. Would stay again. We stayed for 2 nights in Radisson. Check in was fast and received a great customer service by Andy ( not sure if i spelled his name correctly but he is from Indonesia ) He explained everything in details, and also telling us where or what to do in Melbourne. Hence, I think he deserves a compliment. Room is clean, good size and the bed is very comfortable. Breakfast is good but can be better with more variety. Air port and City shutter is just next to it. In short, it is recommended to stay in Radisson. We are a couple with a 3yo son and completely enjoyed the 5night stay! We walked everywhere from this hotel, and took the free tram in the free tram zone from the hotel. There’s a cool playground just across and the Vic market is just next door. We will definitely stay here again when we return! It does not have many restaurants nearby and we walked around 20 mins from Southern Cross station. Unfortunately it rained a lot during our trip so the location of the hotel made it inconvenient for us. For the price we paid, it is value for money because of the wide spread breakfast! You also get a barista making your morning coffee! And at night, since the shops in Melbourne closed early and there is nothing to do, the facilities (gym jacuzzi and steam room) comes in handy!. Please do visit the Jacuzzi as you get a good night view of the city while relaxing! Service is excellent. Attentive and helpful staff. Room is modern and well equippied. Comfortable bed, effective climate system. Hotel is within free tram zone (wef 01 Jan 2015), hop on to tram and can access main attractions easily. Victoria Market is just next door. Do note however, Carpark is out-sourced to a nearby Wilson Parking (unless you go for valet parking service). Overall, very satisfied. When we arrived at the hotel we were unfortunately put in a twin room but the receptionist quickly changed the room to a double. The hotel is in a perfect location for the tram system. The goof up started with Agoda, we booked a junior suite there and they forwarded a deluxe room request ahead. When reached out to them, they did make the corrections and connected with the hotel. Next was the hotel, we were provided our room at 5pm in the evening since there were some other quests staying there even after us booking way ahead in advance and Agoda informing them as well. They charged us the complete suite amount after their goof up. Terrible service, no courtesy. I would not suggest this place to stay for anyone. You would find way better places to stay at this cost. Great spot to renew acquaintances with the City . Great location , close to the Queen Vic market and short walk to Melbourne central & other sites . The Radisson was very easy to to get to , pleasant to be in and very,very comfortable . Great staff & good food combined with cheap parking .We'll be back. We stay at Radission on Flagstaff for 8 nights and I would say it is the best hotel in Melbourne thus far. It offers us different types of pillows according to our needs (memory form, latex etc) which I have never had the privilege thus far from all my other hotels stay. The conceige staffs are excellent, in particular Issac and Matthew who went out of their way to help us with locations and routes finding. Thanks guys, really apprecaite. Staff are very accomodative and when we requestedfor a late check-out, they did not hesitate to adhere to our request and granted us a much later check-out time. 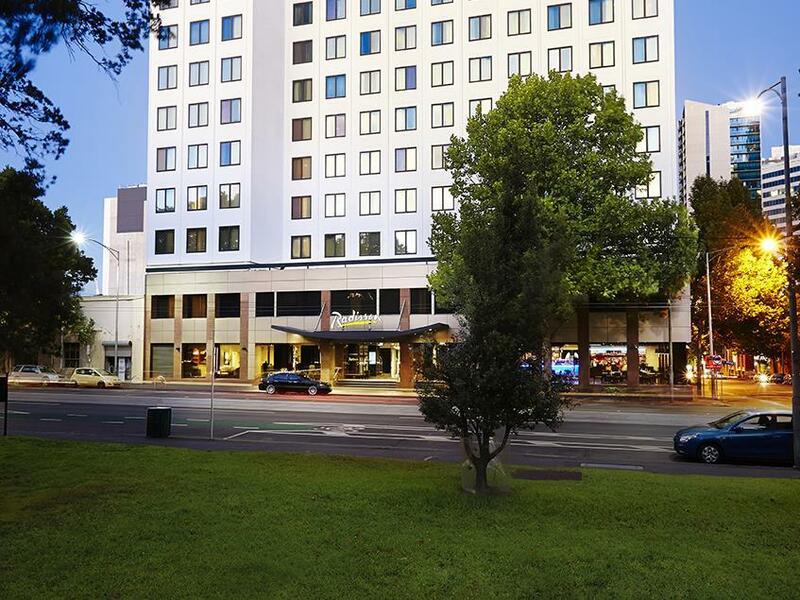 Location wise, Radisson og Flagstaff Gardens is excellent located just outside the free tram lines and to various shopping malls and restaurants. Rooms are very clean and never short of amenities. GREAT hotel. Will definitely stay whenever I am in Melbourne. Location is great, vicinity to Queen Victoria Market, and free city trams and Flagstaff Park. Room is big, bed is big, clean and comfortable. Room complimentary supplies are plentiful. The chilled lemon/orange flavour water near the lift is superb idea especially for a hot day. Staff are very efficient, polite and helpful. The food at HQ is good and really worth when there is promotion in the 20th anniversary.. it’s also the hotel pick up point for Viator day your. 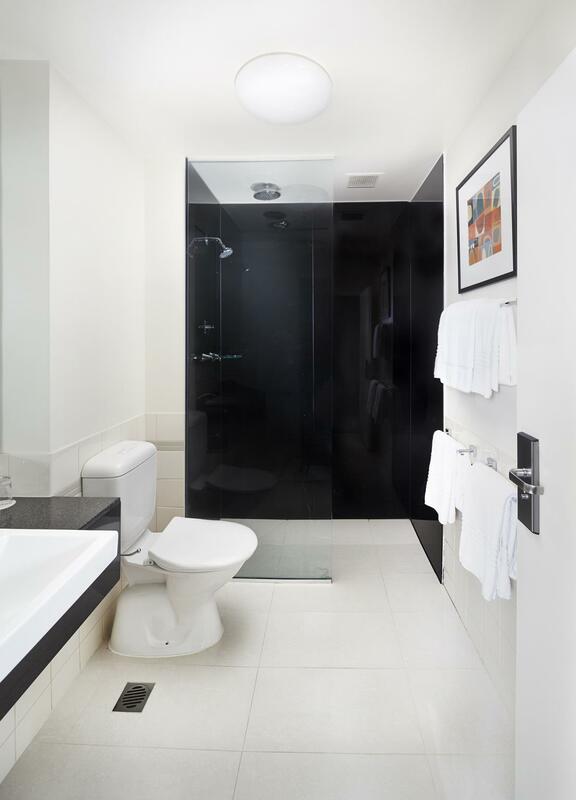 we really enjoyed our stay and will recommend to any one who is visiting Melbourne. Near to Queen Victoria Market. Free trams available to tour around city. Clean rooms. Great location and the bed is comfortable. A bit pricey but overall it is good. Has a good location,so convenient to go to city center and .The breakfast buffet is also good. Service is very good and the staff are very polite and warmhearted.It will be perfect if they have a swimming pool. A nice cozy place. Tram line to the door steps. A park across the road. QV market nearby. Clean rooms. Nice & helpful staffs. Breakfast was usual only, make sure it's free otherwise you can skip it. No swimming pool. The Radisson on Flagstaff was a very nice hotel in a really good location in the free tram zone. Hotel was spotlessly clean and the house keeping was really good. They did a happy hour every night in the bar for 2 hours and it made the drinks very reasonable I would definitely recommend this hotel if you are visiting Melbourne. Great location Stayed here for 5 nights before postgraduate medical exams being held on La Trobe Street, about 7 minutes walk Across the street from a lovely park Good business facilities Little café on the ground floor and decent in room dining Stayed in the suite and had an extra room for studying / lounge area Found a dirty crust of pizza under the sofa though. Also the pull out sofa was broken. The gym is small but had everything you need and a lovely view of the city. 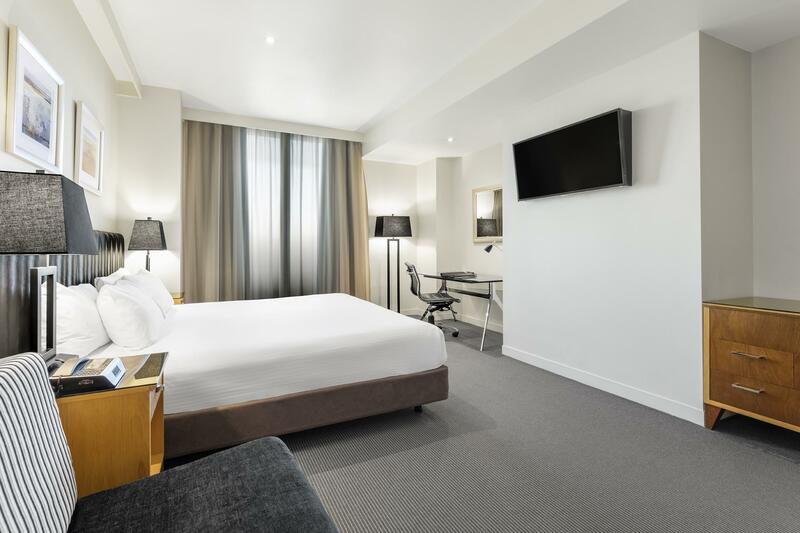 Pricing : One of the best priced branded hotels in the heart of Melbourne! Location : Very good as its just opposite one of the biggest shopping centers in the city - walking distance to Victoria Market. Comfort : Very cosy and comfortable! Includes main amenities such as kettle/ hairdryer/ LED TV / air-conditioning/ refrigerator. Room was not very big but toilet was very cosy and nice.. Very comfortable for the price! Parking : No direct parking available but you get a discounted rate of $20/ night 2 blocks away!